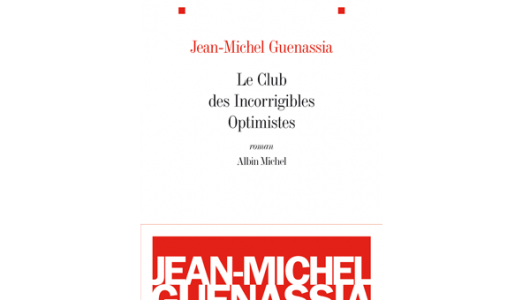 Le Club des Incorrigibles Optimistes, by Jean-Michel Guenassia. Published August 2009 by Albin Michel. Wonderful account of an adolescence in early 1960s Paris, by a boy who comes across a chess club frequented by Jean-Paul Sartre, Joseph Kessel and a cast of East European émigrés who all have shadows they would prefer to escape. The book is sad, evocative and sometimes side-splittingly funny. I particularly loved the description of a supercilious Air France employee refusing to help a Russian pilot who has been diverted to Orly because of fog (I could just see that single raised eyebrow the Air France staff have been trained to deploy so deftly). The hero, a 12-year old boy who walks around the streets of Paris reading, insists he is in no danger of running into a car or another pedestrian because he can rely on everyone else’s interest in avoiding him. Until the day when he crashes into a teenage girl who is also holding a book in front of her nose. It turns out to be a great way to meet girls who share his literary passions.